FOLKLORICO YOUTH ACADEMY: Here at our Leyenda Dance Company we completely understand how important is to preserve Mexican traditional dancing. Leyenda Dance Company welcomes young ADULTS THAT ARE INTERESTED IN LEARNING Ballet Folklorico. (Ages up to 30 years old) If the young adults are learning for the first time, They can select a Children class to learn the footsteps and choreography basics and then MOVE UP TO A DIFFERENT folklorico CLASS upon qualification through the directors decision. These adults need to be in shape and physically fit to follow the 2.5 hour non-stop cardio class content. LEYENDA trains for high end shows and aims for great performanship. We have parents that have successfully trained here. Give it a try. They have done GREAT! If you are slim and can handle 3 hours cardio come and be part of this training. Our group is not a recreational group. Teens and young adults train to dance in shows in a fast paced environment. We think that the right individuals would enjoy very much being part of a serious team and enjoy the challenge. Also. Members must live close to the studio. 25 mile radius from studio is best. This ensures that students can participate dancing in the shows and the classes with consistency and reliability. LEYENDA DANCE COMPANY reserves the right to mix dancers from different levels or age in a case by case basis for example to prepare for large shows in which all levels are going to perform or in the transition or a dancer to a new level or other scenario. Approved by Director only. These are the ""ACADEMY"" classes we offer at the moment. Our group is not a recreational group. By Paying tuition you agree to our terms and conditions and we hold the right to run our company the way we see fit. Our Ballet Folklorico Performing Team Classes are geared to nurture professional skill and students are taught a variety of Ballet Folklorico Mexican dances. We prepare students for folklorico theater level shows were they can demonstrate the following skills we teach: technique, choreography, stage presence, stage projection, performing arts posture, stretching, aerobic stamina, body conditioning and fitness, ballet technique, dramatization, improvisation and the background of the dances we teach. 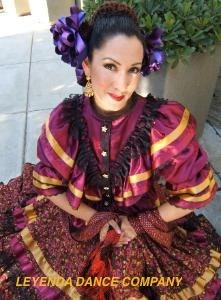 With LEYENDA DANCE COMPANY method of Ballet Folklorico classes, students can be prepared to perform in elaborate folklorico shows locally in Riverside, Orange County, Los Angeles, San Bernardino and international stages. 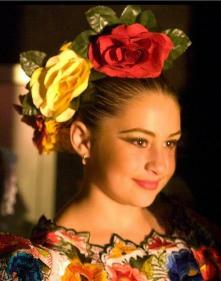 The Folklorico Youth Academy welcomes students with little or no prior Ballet Folklorico experience. With serious determination and team spirit, new students can thrive fast. Our folklorico teaching system challenges the students to learn in a fun but professionally structured environment. LEYENDA DANCE COMPANY believes children deserve to be thought complex choreography and steps. We believe that whether the kids have experience or no experience at all, children can learn and be amazing artists. Look at the photo gallery and see our work speaks for ourselves. GIVE YOUR KIDS GREAT MEMORIES. LET THEM LEARN CULTURE AND BE PART OF A VERY SELECT KIDS / TEENS TEAM. Performances are in very classy venues like Museums, Galas, TV Shows, Local cultural and social events, and even Hollywood movies participating as "background" for films.